I. What is a Villain? A villain is the bad guy, the one who comes up with diabolical plots to somehow cause harm or ruin. It is one of the archetype characters in many stories. The villain may truly believe that he/she is helping society, but causes harm in the process. In the old days, the villain (usually a man) would somehow be harming the damsel-in-distress (helpless female), who needed the hero (the strong he-man) to save her. Nowadays, we are seeing more women as villains and heroes, and the damsel-in-distress may be a man or a community. However, the archetype characteristics remain the same, only the gender changes. In “Dudley Do-Right,” originally a popular cartoon from 1961, the villain is Snidely Whiplash. He likes to tie the damsel-in-distress, usually poor Nell, to the train tracks. It’s always up to the hero, Dudley Do-Right on his trusty steed named Horse, to save her. The cartoon was made into a movie in 1999. This show is a perfect example of the villain, hero, and damsel-in-distress. A real life example of the ultimate tyrant and fanatic villain is Hitler, the leader of Germany in the 1940s. His goal of ruling the world and creating a pure race was part of his insanity and feelings of persecution due to a tragic young life. The scariest part of his tyrannical time of rule is that he convinced and pushed many to carry out his plans in killing millions of innocent people. Traitor: This villain betrays the ones who trusted him or her. Patriarch/Matriarch: These warped villains see themselves as the head of the family or group. Tyrant: This villainous leader takes no guff from anyone – do as you’re told or pay the price. Outcast: Shunned and exiled from the community, this villain is getting revenge. Devil: True evil at its worst, the devil villain has no good side. Evil genius: Highly intelligent, this villain sees him/herself as superior to all others. Schemer: This villain loves making diabolical plans and carrying them out. Fanatic: This villain takes strong beliefs to the max, truly believing that he or she is doing what’s best for all. Villains are an important component in any work of literature. Without the villain, we wouldn’t see how good the hero is; we wouldn’t understand the dangers and conflict a community or person is facing, and we wouldn’t have someone to hate and blame for all the problems. The villain is the foil of the hero – his/her evil ways bring out the goodness of the hero, making the hero’s traits stand out, just as the hero’s goodness is a foil for the villain’s evilness. A popular book series that has been turned into movies, “The Hunger Games” by Suzanne Collins, features a tyrant villain. President Snow, a ruthless dictator, keeps the people in line by forcing them to compete in grisly and deadly games that are televised to ensure the citizens stay in line. This leader believes that he is doing what’s best for the people by keeping a tight rein of control. While Snow is trying to cause harm to Katniss, this young woman is the hero instead of the typical damsel-in-distress. This series carries on the tradition of many stories being a reflection of their culture, as well as a critique of modern issues. Many theories of the future include the concept that technology will at some point destroy us, sending us back to primitive ways of living. The Batman series has always had extremely evil and terrible villains: the Penguin, the Riddler, Catwoman. 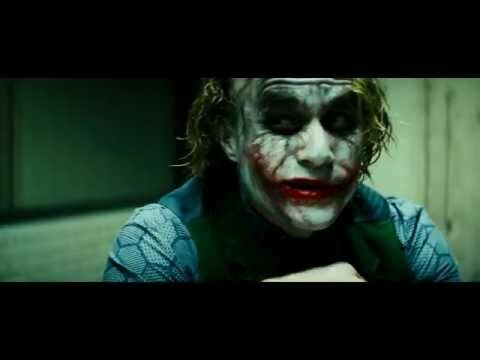 The latest movie, “Dark Knight,” featured the Joker as the ultimate villain, bringing chaos and despair to the city of Gotham and an end to Batman’s reign as the city’s hero. There are great examples of villains in most of the Disney stories, a few of which are based on folk tales and stories compiled by the Brothers Grimm. A villain we love to hate is Cruela DeVil (note her name, cruel devil), a horrible woman who wants the fur of the puppies in “101 Dalmations,” in order to make a fur coat. In “Cinderella,” the villain is the wicked stepmother. In “Snow White,” the jealous queen wants to get rid of her own lovely stepdaughter. Many video games have villains who must be overcome by the players. Some examples would be Majora in the Legend of Zelda, the Lich King in World of Warcraft, Kefka in Final Fantasty, Giovanni in Pokeman Red & Blue, and Shao Kahn in Mortal Kombat. Being able to fight and conquer these evil characters is a challenge that lets players be heroes. The antagonist in a story is the character who causes a problem or conflict for the protagonist (main character). Unlike the villain, the antagonist may not be evil or bad in any way. The antagonist could be the father who won’t let the daughter hang out with her friends. The antagonist may also be the protagonist, somehow causing problems through internal conflict, such as lying to people and doing dishonest acts or facing difficult decisions within him-herself. Villains can be an entertaining bane to society in literature. There are many types of villains who bring out many heroes. We can learn valuable lessons from them. While some cause much despair and loss of life, others are characters who have lost their way and are pitied. Literary pieces would not be nearly as interesting without a good villain, although in real life, we dread the idea of a villain.